I’ve been working on a photography project for the past seven months that I haven’t posted here, for a complicated set of reasons. But here’s one image from the project, an outtake, if you will. I shot it through a dirty window, and rather liked the streaky result with the streetlights. Don’t worry about the project; it’s still in progress, still without a name, but you’ll see it one of these days…. Posted on December 28, 2018, in Photography and tagged 365 photo project, black and white photography, learning to see, Leica, lubbock, lubbock texas, melinda green harvey, monochrome, one day one image, photo a day, photography, postaday, texas, thoughtful seeing. Bookmark the permalink. 2 Comments. 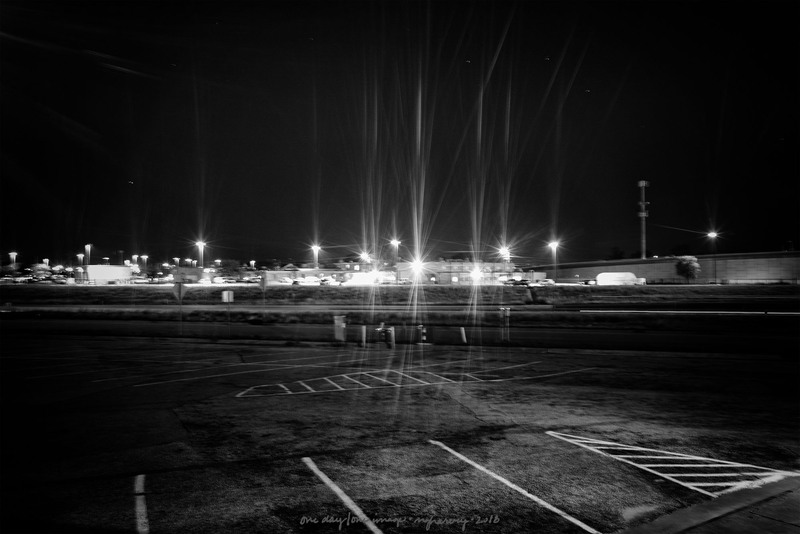 To me, it’s the parking lot lines in the foreground that make the composition work and also add interest. Thank you, John. I appreciate the comment.